The much anticipated autopsy report on late Ronke Shonde, the mother of two allegedly killed by her husband, Lekan, two weeks ago in Egbeda area of Lagos, during a scuffle, is out. The report, as reliably gathered, reached detectives at about 8.45p.m. yesterday. 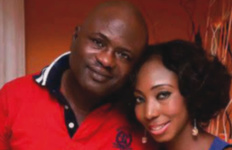 Although police authorities kept mum over the content of the report, Vanguard was reliably informed that it attributed late Ronke Shonde’s death to some injuries in the head. It also revealed that water clustered in her head. Again, the report which was reportedly signed by one Dr. Shoyemi, a Pathologist at the Lagos State University Teaching Hospital, LASUTH, Ikeja, disclosed that late Ronke Shonde died as a result of respiratory seizure. But it ruled out the possibility of her death due to violent marks on her face. The autopsy was conducted last Thursday, with its result expected to be out in three days, but was delayed due to the absence of the Chief Pathologist, who reportedly travelled out of the country. While he was being expected, an inconclusive report, which emerged Tuesday, however, showed that the bruises on the corpse could not establish the cause of her death. With the report, sources said detectives would then continue with the next line of investigation, which reliably will include, among others, the mental stability of Lekan, who is still in their custody. 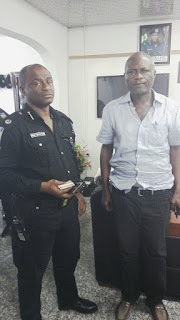 Lekan, who initially went into hiding after the incident, gave himself in to the Police in Lagos, where he denied culpability over his wife’s death. He was later transferred to the State Criminal Investigations and Intelligence Department ,SCIID, Yaba.